I once read that trying to describe the agony of running a marathon to someone who doesn’t run is like trying to explain colour to someone born blind. As a naive 18 year old I could perhaps be forgiven for failing to prepare properly for my very first marathon in Coventry back in 1981, ignorance was indeed bliss and I learned the hard way. Fortunately, although vowing never again as many do, I found the ecstasy far outweighed the agony so I pursed a sport that would change my life forever. Seven years later, I met somebody during a race who was attempting the world record for running the most official marathons in a single year. 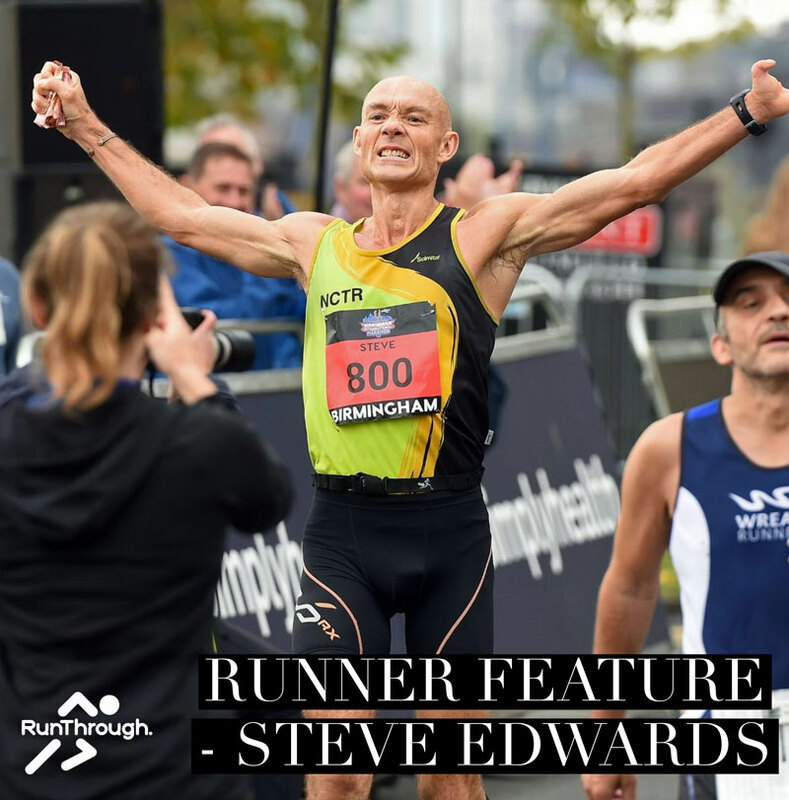 He introduced me to the 20 or so members of a little known group called the 100 marathon club who aspired to run 100 marathons in their lifetime. This along with reading an entry in the Guinness Book of Records listing the late Sy Mah’s incredible feat of running 500 marathons averaging just over 3hrs 30min immediately inspired me and just 3 years later in 1990 I became the youngest person in the world to run 100 official marathons aged 28 years 3 days. I wasn’t a particularly fast runner but I was hungry for more records and to that end decided to pursue the record for running the most official marathons in a year. But back then, there wasn’t the luxury of multi day events at the same location or indeed the choice and availability of events in the UK like there are today. You therefore had the physical and mental demands of travelling as well as running multiple marathons. With no budget airlines, no internet, no email and everything done via post, phone & fax, getting to the start line of a race was sometimes more challenging than actually running it. To be successful during that time meant being prepared to drive not just hundreds but sometimes thousands of miles between races that were countries apart. I once drove 2500 miles during a weekend to run two marathons in Holland and Austria! However, in 1992 I did manage to achieve that second world record with a total of 87 marathons in a 12 month period averaging 3hrs 14min and got my lifetime PB of 2hrs 51min. I also became the youngest person in the world to run 200 official marathons aged 29 years 161 days! Roll forward 20 years to 2012, my 50th birthday year and I finally achieved my Sy Mah inspired lifetime ambition to become the first person in the world to run 500 official marathons all under 3hrs 30min which I’ve since managed to extend to 770 despite telling myself I’d cut back! In 2008 I also set the first ever world record for running 10 official marathons in 10 consecutive days in the fastest combined finish time. Now the word journey is often overused today but for me this has been an incredible journey of self- discovery, not only achieving life goals, but also learning life skills and values. I feel hugely privileged to have discovered a fantastic sport from an early age which gave me a new found self confidence after being bullied throughout my childhood about my deformed hand. I’ve made many friends, discovered new places and learned so much. When I first started out, I could never have imagined achieving all that I have, reflecting back I now wonder where that time has gone. I always view that very first marathon as a window of opportunity to greater things, how often do you hear somebody regret not taking an opportunity! All of my early records have since been bettered many times over and having since established newer records for the fastest average finish times to run 500 (3hrs 12min), 600 (3hrs 13min) and 700 (3hrs 15min) official marathons I’m pretty sure that in time these will be broken too. However, I feel proud to have not only played a small part in the evolution of multi marathon running but also for helping to inspire many others to achieve their own ambitions which include breaking my earlier records. To have that effect on people is not only humbling but very powerful. In October 2017 I achieved the 800 marathons record which when broken down equates on average to running a competitive marathon in 3hrs 17min every 13 days for the last 30 years! Last year I managed to extend my marathon total to 854 which includes 770 sub 3:30’s and 500 sub 3:20s, both world bests. Looking to the future, my ultimate ambition is to try and run 1000 official marathon races before I’m 60 whilst trying to maintain a sub 3hrs 30min average finish time, I’m 57 later this year. The big question is do I have it in me to maintain the 4Ds, discipline, dedication, desire and determination on top of holding down a full time job to not only train week in, week out for the next few years but also maintain the frequency of racing a marathon almost every weekend for another 3-4 years? My health & fitness will obviously play a major part, so I guess only time will tell. But, as I always say to people, ‘Never underestimate your potential, follow your dreams’.